Snapshot: Waffles at “Sargent Dining Hall”! | Clover Eats! 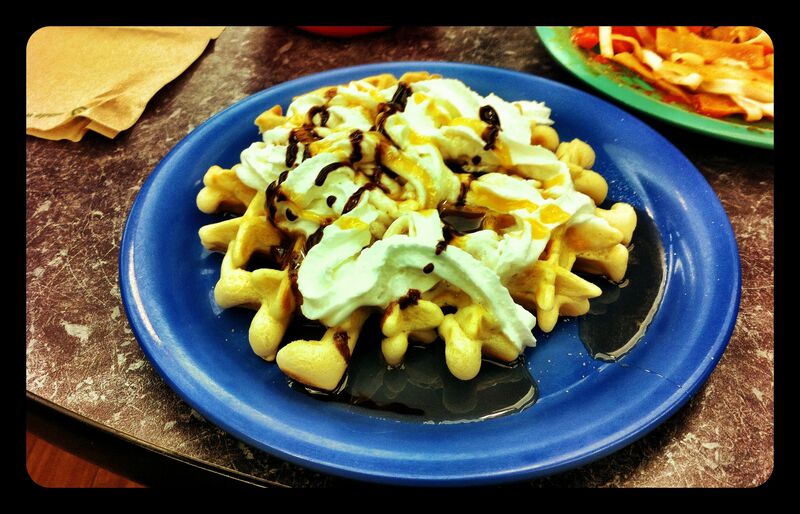 Snapshot: Waffles at “Sargent Dining Hall”! This delicious waffle species, made and decorated at Northwestern’s Sargent Dining Hall was decadent and delicious! On a side note, it’s Dillo Day! I just woke up after going salsa dancing at Rumba last night with Kevin, Marcy, and Julie! Will post pictures later. Now, time for Chiddy Bang, BOB, and Beer Garden!